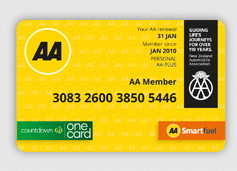 Your AA Membership card is all you need! You don’t need any other card. Your new AA Membership card is already registered. 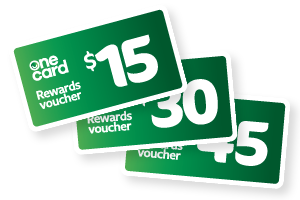 Start swiping today at BP, Caltex, Countdown and everywhere else. 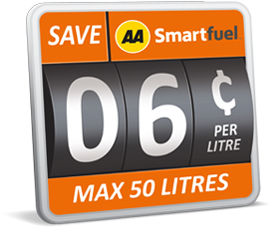 Have you had an AA Smartfuel card before? Please enter your Email, existing card number or Username and we'll email your username and a temporary password. Do you want to attach this card to your existing account, then please click on Yes. Please click NO for creating a new account. Haven't got your free AA Smartfuel card yet? Yes, please email me regular AA Smartfuel news and latest offers to accumulate bigger fuel discounts. Yes, please send me occasional TXT messages with offers to accumulate bigger fuel discounts. Please select which reward you wish to earn at Countdown. Both options include Onecard Club Prices at Countdown. Once you choose, you can switch anytime. In accordance with the AA Smartfuel programme terms and conditions, your details will be automatically sent to Countdown the first time you make a selection above. This will enable Countdown to activate your new Onecard. Please contact the call centre or use a different email address. Please try registering again. If the same error happens again please phone the call centre.